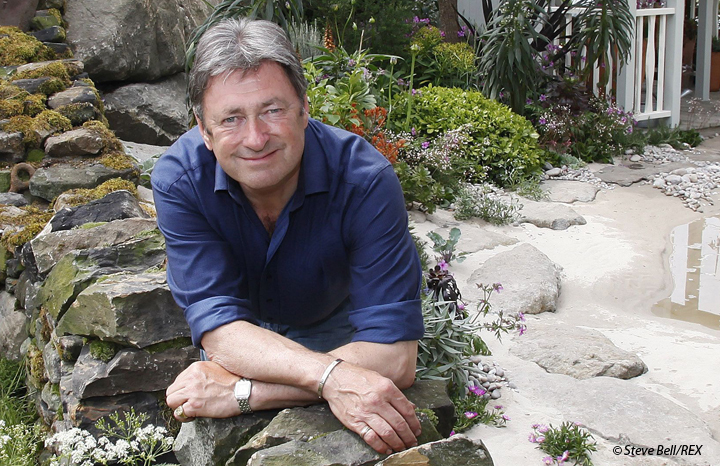 There’s no doubt about it, Alan Titchmarsh is one fine figure of a man. He looks well, very well – this is clearly a chap who looks after himself – but there is one thing he’d like to change about his health. Alan (65) is currently presenting the final series of his very popular afternoon chat show for ITV, which ends in December. It’s been reported he’s bowing out due to health reasons. Is this true? he replies. “The truth of the matter is that I’ve decided to ease up a bit and pace myself. I’ve been doing the chat show for eight years now and I thought it was time to move on while it was still doing well, rather than let it all dwindle. “If you stay doing the same thing, you get stale and the viewers get weary, so I’d rather move on. Alan’s main priority is his family. “My wife Alison and I now have three grandchildren,” he smiles. “Two boys and a girl, all aged under three. I want to spend more time with them as they grow up – they’re great fun and I don’t want to miss a minute of it. “We’re very lucky as all three only live 15 minutes away from us so we see a lot of them. “We were given a cushion after the arrival of our first grandchild, embroidered with the words “grandchildren fill a space in your heart that you never knew was empty”. It’s very true. “Grandchildren are the squaring of the circle – the joining up of life, I suppose. To put it bluntly, you have ensured the future of the family and the survival of the species. But, as far as I am concerned, it is rather more than that. Unlike some household names, Alan has never been a red carpet-type, happy to attend the opening of an envelope. “That’s not me at all,” he reveals. “I’m not interested in using my family as props to parade at celebrity events. I’m not secretive – just private. I’m not interested in fame – fame is a by-product, not a goal in itself. I like my life to be real. for 39 years – so what’s their secret? doing something. I’d rather give them a reason to watch."